In general I think of myself as the sort of person who feels compelled to complete video games at a narrative and geographic level, following all of the obvious side quests as well as the main line, but not to master their mechanics. And of late I haven’t been entirely comfortable with that state of affairs . More and more, I’m valuing video games for their density; to that end, might I not get more out of my (quite limited) gaming time if I were to make my way fairly directly through games, or even not to finish them, bailing out once I’ve gotten most of their novelty? Or, alternatively, maybe I should dive into video games in more depth, really trying to plumb their depths, to master them? When contrasted with those alternatives, my current state of affairs looks like a middle way that speaks more of spinelessness than Buddhist virtue. 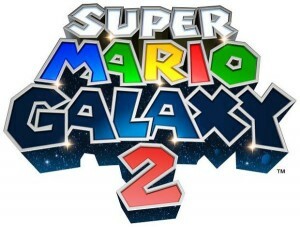 Which brings us to Super Mario Galaxy 2 . Sure, it’s a well-constructed game; but I hadn’t gotten too far before I started to wonder: haven’t I seen this before? Haven’t I spent enough time moving from one end of a linear path to the other end, while dutifully wasting time looking for loosely hidden trinkets (comet coins in this case) along the way? Looking at the alternatives above, there’s really not much scope for mastery here: either you can make it to the star at the end or you can’t, I’ve played enough platformers that I fall into the former bucket quite reliably, and I have no particular desire to repeat levels trying to shave a few seconds off of my time. Instead, I was thinking that I would switch over to just getting enough stars to be able to advance through the game, and was even toying with the idea of stopping before saving Princess Peach. And then I hit the first of the comet levels. As soon as I finished it, the game threw several more comet levels at me. (I’m not quite sure why it batched them up that way.) And it turned out that there was reasonable scope for the game to bring out my (frequently latent) mastery urge; from that point, I was hooked, making steady progress through all 120 stars. Which is, in itself, kind of interesting: I don’t have the desire to hone seconds off of my time, except that I’ll happily do that if the game tells me? I’m honestly not entirely sure what’s going on with my psychology there; I have no complaints about the results, however. Because it really is a lovely collection of challenges. I wouldn’t want to play games like this all the time—the two-and-a-half year gap between the original and its sequel was none too short for me—but it’s more varied than any game of its sort that I’ve seen, it has a wonderful rhythm in its difficulty variations (the comet levels made all the difference, but one comet level out of every three or so turns out to be just right), and it doesn’t outstay its welcome when it ends. Exactly what “its sort” means, however, is something that’s on my mind right now. I came up with a theory a couple of years ago that Super Mario Galaxy and Super Mario 64 are pointing in quite different genre directions, to the extent that I’m no longer sure it’s appropriate to call Super Mario 64 a platformer at all. At the time I wrote that, however, I hadn’t played Super Mario 64 for almost a decade; for all I knew, I was completely mischaracterizing the game. Fortunately, I have an excuse to remedy that gap in my argument: the Vintage Game Club has just started a playthrough of Super Mario 64 ! I’d been really looking forward to that for a while, and the first few days of the playthrough have done nothing to dampen my enthusiasm. And, just to be helpful, Super Mario Galaxy 2 itself throws in a remake of one of the iconic Super Mario 64 levels near the end, making it particularly easy to contrast the two. If you’re at all interested, I encourage you to join in our VGC playthrough; and I hope to have more to report here over the coming weeks. You seem to be unaware that Super Mario Galaxy 2 isn’t really over at the 120-star point. Play the last Bowser level one more time, and after the credits the rest will open up. Thanks for the correction. Yes, I’m aware of the existence of the green stars; are they interesting enough to be worth doing? I would say so, yes. They aren’t full levels, just random stars scattered around the pre-existing levels. But some of the jumps required are truly devious. Cool. I guess I’m not too interested in doing that right now, because I was surprised at the start of the game how relatively uninterested I was in exploring nooks and crannies of the levels; but maybe I’ll come back to it later.